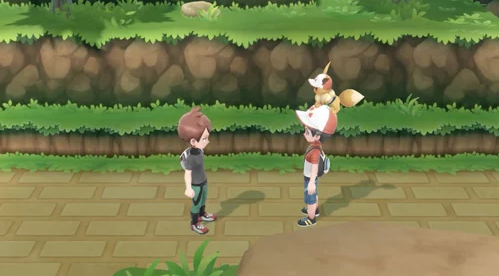 By traveling down Route 22 after defeating your Rival back at the Pokemon Lab in Pallet Town, you will again meet up with your Rival. Once more, he will challenge you to a battle. This time around, he has added another Pokemon to his team. His Starter Partner Pokemon will also be one level higher during this battle, so be ready.